ABERDEEN, Scotland, Oct. 9, 2017 /PRNewswire/ -- Wood Group is pleased to announce that it has completed the acquisition of Amec Foster Wheeler. Wood Group's new ordinary shares will be admitted to the premium segment of the Official List and to trading on the main market for listed securities of the London Stock Exchange with effect from 8.00 a.m. (London time) today, 9 October 2017. "This transformational acquisition creates a global leader in the delivery of project, engineering and technical services to energy and industrial markets. "We become a business of significant scale and enhanced capability delivering services across a broader range of geographies and sectors, differentiated by the quality of our people, enabling technology and know-how. Wood is better placed to serve customers than ever before, with a more comprehensive range of capabilities and the potential to deliver efficient integrated solutions with fewer customer interfaces. "We expect to deliver significant cost synergies and incremental revenue synergies in a less cyclical business which retains a predominantly reimbursable, asset light model with a balanced risk appetite. "Our integration planning is well progressed and we have ensured that appropriate risk management and control processes are in place from Day 1. We have a clear organisational structure, my Executive Leadership team and their direct reports have been announced and we are now focussing on implementing a best of both approach for the wider organisation." Holders of ordinary shares of 50 pence each in the capital of Amec Foster Wheeler ("Amec Foster Wheeler Shares") on the register at the Scheme record time, being 6.00 p.m. on 6 October 2017, will receive 0.75 of an ordinary share of 4 2/7 pence each in the capital of Wood Group ("New JWG Shares") in exchange for each Amec Foster Wheeler Share. As a result, 294,510,216 New JWG Shares will be listed on the Premium Listing segment of the Official List of the UK Listing Authority and will be admitted to trading on the London Stock Exchange's main market from 8.00 a.m. today. Following the admission to trading of the New JWG Shares, the Wood Group's issued share capital will consist of 677,685,600 ordinary shares with each share carrying the right to one vote. Wood Group holds no ordinary shares in treasury. The total number of voting rights in Wood Group will therefore be 677,685,600. This figure may be used by shareholders as the denominator for the calculations by which they will determine if they are required to notify their interest, or a change to their interest, in Wood Group under the FCA's Disclosure Guidance and Transparency Rules. The admission of Amec Foster Wheeler Shares to the premium segment of the Official List and to trading on the main market for listed securities of the London Stock Exchange will be cancelled with effect from 8.00 a.m. (London time) today. As of 6 October, Ian McHoul, Linda Adamany and Roy A Franklin have been appointed to the Wood Group Board as Non-executive Directors. Biographical details for each director and details of their appointments are contained in the Prospectus published in connection with the Combination on 23 May 2017. 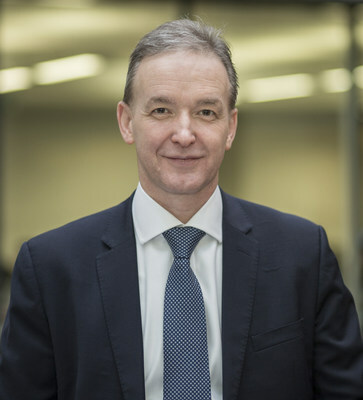 Since the publication of the Prospectus, Ian McHoul has been appointed Senior Independent Director of Britvic plc with effect from 1 September 2017 and a non-executive director of Bellway plc with effect from 1 February 2018. Roy Franklin has been appointed Non-Executive Chairman of Premier Oil PLC with effect from 1 September 2017 and resigned as a non-executive director of Santos Ltd with effect from 30 September 2017. No other information is required to be disclosed pursuant to paragraph 9.6.13R of the Listing Rules of the Financial Conduct Authority, other than as already stated in the Prospectus and this announcement. Capitalised terms used but not otherwise defined in this announcement have the meanings given to them in the scheme document published on 23 May 2017 in relation to the Combination. J.P. Morgan Limited, which conducts its UK investment banking business as J.P. Morgan Cazenove ("J.P. Morgan Cazenove"), is authorised and regulated in the United Kingdom by the FCA. J.P. Morgan Cazenove is acting exclusively for JWG and no one else in connection with the Combination and the matters set out in this announcement and will not be responsible to anyone other than JWG for providing the protections afforded to clients of J.P. Morgan Cazenove or its affiliates, or for providing advice in relation to the Combination or any other matters referred to in this announcement. Credit Suisse International ("Credit Suisse"), which is authorised by the PRA and regulated by the FCA and PRA in the United Kingdom, is acting as financial adviser exclusively for JWG and no one else in connection with the Combination and the matters set out in this announcement and will not be responsible to anyone other than JWG for providing the protections afforded to clients of Credit Suisse, nor for providing advice in relation to the Combination, the content of this announcement or any matter referred to herein. Neither Credit Suisse nor any of its subsidiaries, branches or affiliates owes or accepts any duty, liability or responsibility whatsoever (whether direct or indirect, whether in contract, in tort, under statute or otherwise) to any person who is not a client of Credit Suisse in connection with this announcement, any statement contained herein or otherwise. A copy of this announcement and the documents required to be published by Rule 26 of the City Code will be made available on Wood's website at www.woodplc.com and Amec Foster Wheeler's website at www.amecfw.com by no later than 12 noon (London time) on the Business Day following this announcement. For the avoidance of doubt, the contents of those websites are not incorporated into and do not form part of this announcement. This announcement contains certain forward-looking statements with respect to the financial condition, results of operations and business of Amec Foster Wheeler and JWG and certain plans and objectives of the combined group. These forward-looking statements can be identified by the fact that they do not relate only to historical or current facts. Forward-looking statements often use words such as "anticipate", "target", "expect", "estimate", "intend", "plan", "goal", "believe", "hope", "aims", "continue", "will", "may", "should", "would", "could", or other words of similar meaning. These statements are based on assumptions and assessments made by Amec Foster Wheeler and/or JWG in light of its experience and its perception of historical trends, current conditions, future developments and other factors it believes appropriate. By their nature, forward-looking statements involve risk and uncertainty, because they relate to events and depend on circumstances that will occur in the future and the factors described in the context of such forward-looking statements in this announcement could cause actual results and developments to differ materially from those expressed in or implied by such forward-looking statements. Although it is believed that the expectations reflected in such forward-looking statements are reasonable, no assurance can be given that such expectations will prove to have been correct and you are therefore cautioned not to place undue reliance on these forward-looking statements which speak only as at the date of this announcement. Neither Amec Foster Wheeler nor JWG assumes any obligation to update or correct the information contained in this announcement (whether as a result of new information, future events or otherwise), except as required by applicable law.